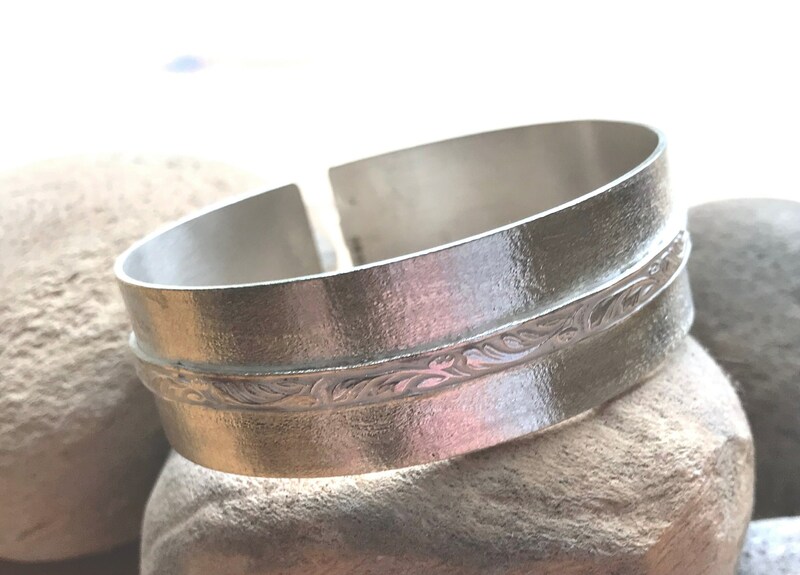 This adjustable Sterling Silver Cuff Bangle with a floral central strip overlay design is very similar to a previous listing with the exception that the finish of this is brushed rather than mirror silver. To adjust simply push and pull to fit. 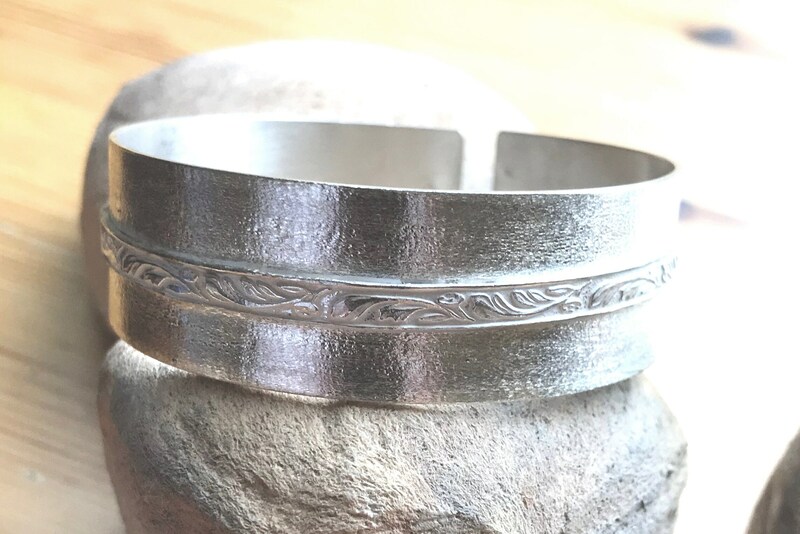 Fully Hallmarked.